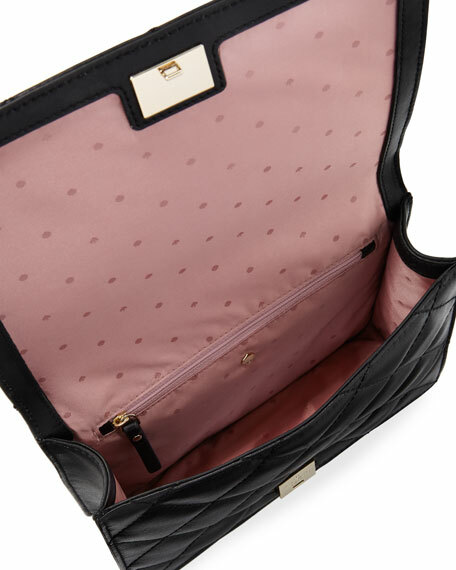 kate spade new york quilted leather crossbody bag with golden hardware. Sliding chain shoulder strap can be doubled, 11-20" drop. Logo stud at bottom center front. 6.6"H x 9.1"W x 2.3"D.
For in-store inquiries, use sku #2479308.